What is Ars Industrialis ? integration leading to this convergence has hitherto essentially and brutally intensified the possibilities for the control of mind and spirit, we affirm that the technologies of spirit can and must become a new age of spirit, that they can spark a renewal of spirit and issue in a new “life of the mind”. blocks access to these technologies for any other finality, and in particular, it systematically forbids and impedes the development of new and original social practices which these technologies not encourage but call for as an essential requirement — that is our thesis: these technologies could become the base of a new epoch of civilisation and could conduct the neutralisation of the imminent threat of chaos everyone senses. conform to the requirements of profitable investment. Today, however, this capture of libido has ended up destroying it, and this incontrovertible fact represents a huge threat for industrial civilisation: it leads, inevitably, to an unprecedented global crisis. 4. This threat to desire threatens humanity as a whole: the ruin of desire is also the ruin of possibilities of sublimation and of the constitution of a super-ego, and it consequently produces, above and beyond the economic disturbances brought on by a model casting production and consumption as opposites, extremely alarming geopolitical, political, social and psychic disorders. These dysfunctions, veritable plagues for humanity, represent the most recent manifestations of problems that an industrial ecology of spirit and desire must solve. 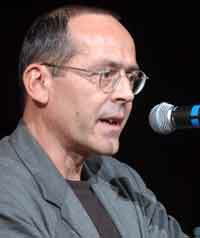 however, that information and communication technologies are precisely, spiritual technologies, and that also means that they are situated in the field of hypomnémata, whose sense Foucault pinpointed as that of a “technique of the writing of self.” This was also the major question of Plato’s philosophy with its definition of writing as hypomnesis i.e., as technical memory. Inasmuch as they are mnemo-technologies, the industrial technologies of spirit are a new form of hypomnémata. And as was the case for the hypomnémata in Greece and Rome, and particularly in the Stoic and Epicurean schools, and also in ancient Roman Christianity, the industrial technologies of spirit conjure new practices, that is., in the final analysis, new social orgnaisations. For the relations of mankind to these technologies can in no case continue to be limited to uses and usages as set out in user’s manuals are marketing campaigns, which tend to guarantee nothing other than immediat profit for share-holders who, according to reports, want “two-digit rates of return” on their investments, and where possible, never below 15%. 6. Such a politics is suicidal: this capitalism is self-destructive. By affirming the possibility of an industrial politics of spirit, our association intends to organise a struggle against this self-destructive tendency, by contributing to the invention of practices of spiritual technologies that can reconstitute objects of desire and experiences of singularity. We believe that the development of such practices is a fundamental condition for a peaceful future in the global industrial society. an industrial politics of spirit requires the invention of a new form of public power and agency, bringing together skills and k nowledge of all types and from all horizons: economic agents and public institutions, research foundations and associations, economists, artists, scientists, philosophers, investors and partners in the tasks of government at all echelons, etc. 8. Our association is situated in Paris, France, but defines itself above all as European. We will seek to find interlocutors, partners and members throughout Europe, and to organise activities outside of France as often as possible. This said, our association is not only European, but international in scope and aim. We wish to project our thinking in the above-mentioned areas to the global level, which includes the areas of education, research, science, art, the media, the organisation of radio and television services, cultural industries and private program industries, as well as national and regional development programs. Besides its partners and members in Europe and on other continents, Ars Industrialis will develop in French cities a network of meeting places and activities for and by its members and correspondants. The association will energise these networks through the use of all available means of communication, and will thus have to seek the support and sponsorship of public and private organisms and institutions. 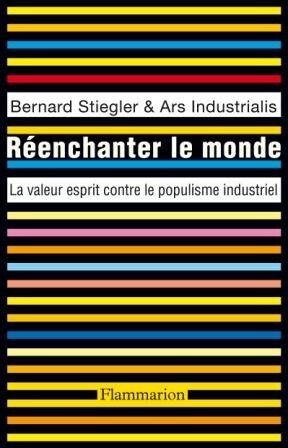 The text of this manifesto has been signed by George Collins, philosopher and art critic, Marc Crépon, philosopher, Catherine Perret, philosopher and art critic, Bernard Stiegler, philosopher and director of IRCAM, Caroline Stiegler, jurist. What would you say is the approximate meaning of the term “Ars Industrialis”…? Met with Daniel Ross when he was on tour in the USA, and understand the concerns of the group. Still, what does “Ars Industrialis” mean? Thank you for your interest and interest of the question. There are two answers on the blog: one post from me (15 feb) and an other from Georges Collins (27 feb).